Assist retirees in the transition to retired life. Create a community of retirees that provides social and intellectual activities among the members. Maintain an ongoing relationship with the university. Host annual or bi-annual meetings. Sponsor a newsletter where we can keep up with what Northwest retirees are doing around the country. Membership: Open to all Northwest retirees and their spouses/partners. 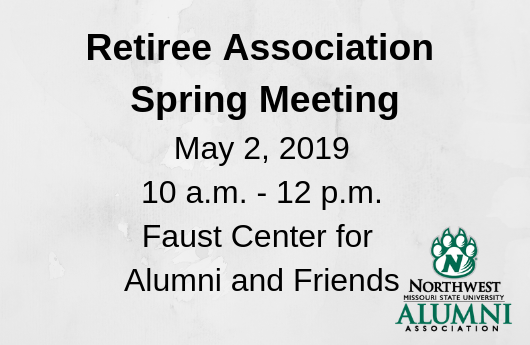 We also invite retirees who worked at Northwest, relocated, but are vested in the University retirement system. Please review the proposed constitution, bylaws and committees of the organization available in the column to the right. Also, we will appreciate any feedback from the membership by using the ‘Feedback’ link. The constitution, by-laws, and committees will be voted on at our Spring association meeting on May 2. May 2, 2019 | 10 a.m. to 12 p.m.
Below are links to articles we thought you might enjoy. Click to activate your membership with the Northwest Retiree Association. Visit the online Tower Yearbooks. Visit the University Calendar to see what events are coming up on campus. Catch up on the Latest News and other happenings.